So there I was, in a bathroom of a bar. It's one of those bathrooms with attendents. Anyway, just when I started to pee at the urinal, the attendent came behind me and greeted me. I was thinking how inappropriate that was since I was in the middle of peeing, but hey! 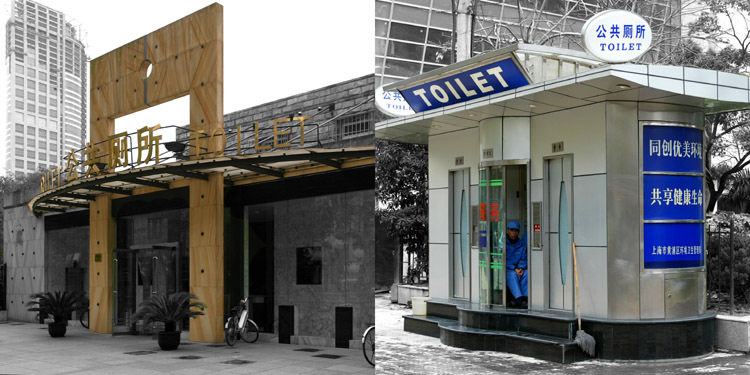 it's China, maybe pee-time isn't off-limits. So I started to answer him. Big mistake. As soon as I opened my mouth to say "I'm okay" he shoved a piece of gum in my mouth. "Enjoy some refreshing gum, sir!" he cheerfully said. While I was peeing! Okay, even as my mind was reeling from this unprecedented turn of event HE STARTED TO MASSAGE MY BACK!! While I was still peeing! Massage my back! Peeing! Massage! WTF! Needless to say, for the rest of my time in China, I kept my mouth shut and shook my head vigorously to signal my not needing a massage everytime I entered a bathroom with attendents.